Life undergound in the burrow. 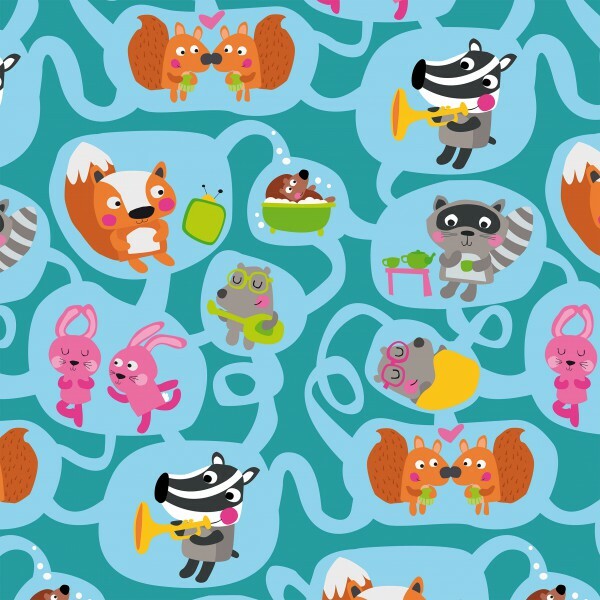 This is one of my favourite andapanda animals pattern designs. Which is your favourite animal? Badger loves playing jazz on his trumpet? Mole is learning to play the guitar ?? Racoon loves having afternoon tea ☕ Hedgehog can’t get enough of bubble baths ? The rabbits are doing ballet ? and the squirrels can’t stop looking into each other’s eyes ? Sign up to the Andapanda newsletter!